Sydney Shop Girl: Digital Days. Friday Reads. Digital radio has arrived to our office. A range of stations to suit everyone's tastes have been programmed. It goes without saying though that the day always begins with SBS Chill. As much as the crystal clear reception and the handy remote are appreciated, none of us can bear to part with our vintage 'wind up' radio with its static and old school clock that tells the time by having numbers flick down like the price board at petrol stations. So we've found it a corner of a shelf where it will live out its retirement, keeping a watchful eye on us all. 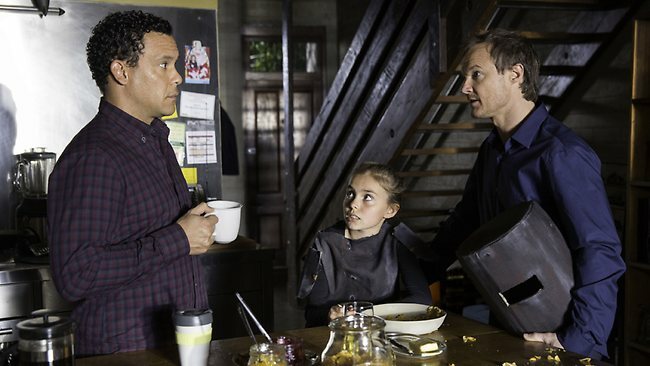 Did you watch the first episode of Redfern Now Season 2 on the ABC last night? As a sort of local (for all of two weeks in October), it was pretty surreal seeing the streets I walked along transformed into the backdrop for some of the most rivetting Australian drama I've seen on television this year. The urban Australia that 'Redfern Now' portrays is complex. The true beauty of its characters lies not in their physical appearance but in their words and actions. What makes the series compelling viewing is the clever mixture of issues in each episode. Issues that are relevant both to indigenous Australians and the wider community are presented in a way that is neither alienating or biased. The plots and the characters that drive them carry you beyond stereotypes and fundamentally, each episode is a ripping yarn. Now that the weekend is here, I'm planning to relax with a couple of books. I've just started 'Mad About the Boy', the latest instalment of Bridget Jones' diaries. The novel has had a mixed reception with criticism levelled at the way Bridget appears to still be harping on about 'single woman' issues despite being married with children. Without giving too much away, the harping on is justified given a sad development in Bridget's life. I'm really enjoying 'Mad About the Boy' to be honest. It's been years since I've read a Bridget novel and I still have happy memories of Colin Firth and Hugh Grant from the film adaptations of the two previous novels. 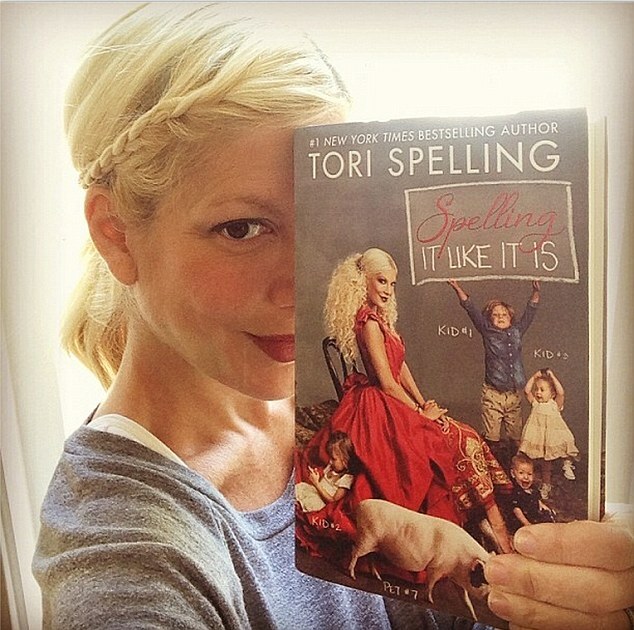 The other book I'm really excited about is Tori Spelling's latest memoir, 'Spelling It Like It Is'. I've always enjoyed Tori's sense of humour and ability to laugh at herself. The publicity surrounding this book has seen Tori get some flak for lying about how she 'got her body back' after the birth of her fourth child. At the time, Tori said what every other celebrity said and swore that her regime was just sensible diet and exercise. The truth, apparently was more along the lines of " the 'Just Keep Your F***ing Mouth Shut and Eat Air diet'. It's all the rage." I'm intrigued. Okay. That's all from me today. My Kindle beckons. Have a lovely weekend. Hope all is well with you and the gorgeous Baby SSG.